Take a deep breath of Heaven on Earth ! There are some things in life that truly have the ability to entice the senses into otherworldly dimensions. Deliciously home grown fresh heavenly herbs could fall into that category. Growing your own organic herbs is relatively easy, in addition, you will save a boat load of money as well. I don’t know if this has happened to you, but I can’t count the times I have bought fresh herbs from the market, and not been able to use them all in that moment. Then when I go to use them again they have basically turned into dark green watery mush, right? When we have our own herb garden, we pick only what we need in that moment, and although we can freeze herbs to keep them fresh, nothing, hands down beats the aroma and taste of a freshly picked herb. The season of Autumn is right around the corner. 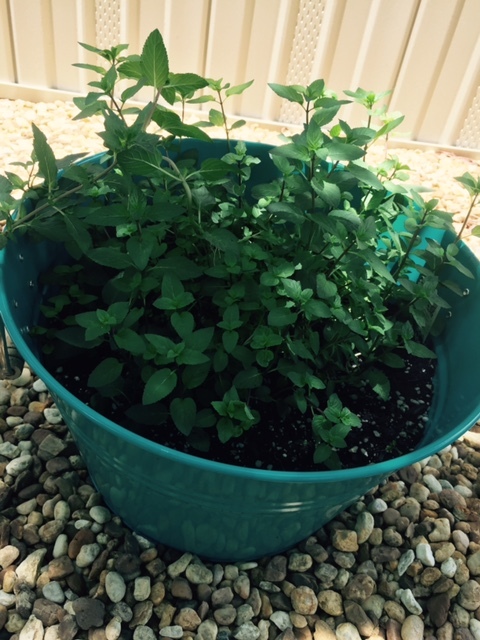 In certain regions like here in Florida makes it a great time to begin creating an herb garden. Even if you live in an area where the temperature goes down to freezing and snows, you can have your own herb garden. Just purchase a nice big round pot, plant a few different herbs in that pot, put it near a window and there you have it. I once built a really big herb garden made out of cement blocks. However, my herbs did not grow as well as they do when I put them in big pots. Hope that tip works well for you too. If you have never tried your hand at growing your own organic herbs, I encourage you to do this soon. You can start with just one herb. 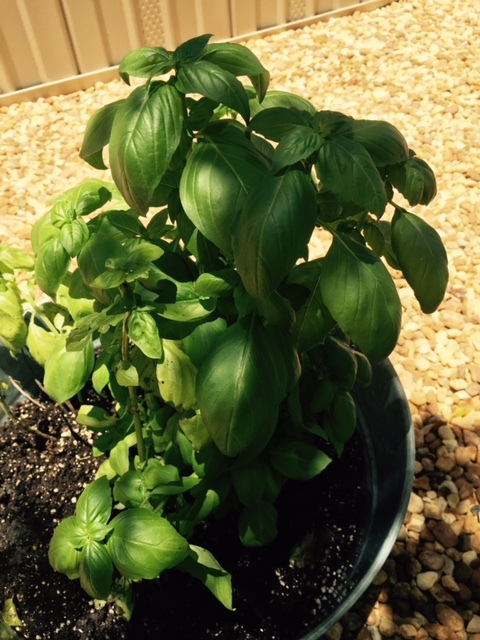 Basil or Chocolate Mint ( yes, it tastes just like chocolate) are wonderful herbs to start with. They are both really easy to grow, and are virtually non maintenance.The best part is that they grow like a weed. Pick off a few leaves and before you can blink, there will be 10 more leaves. 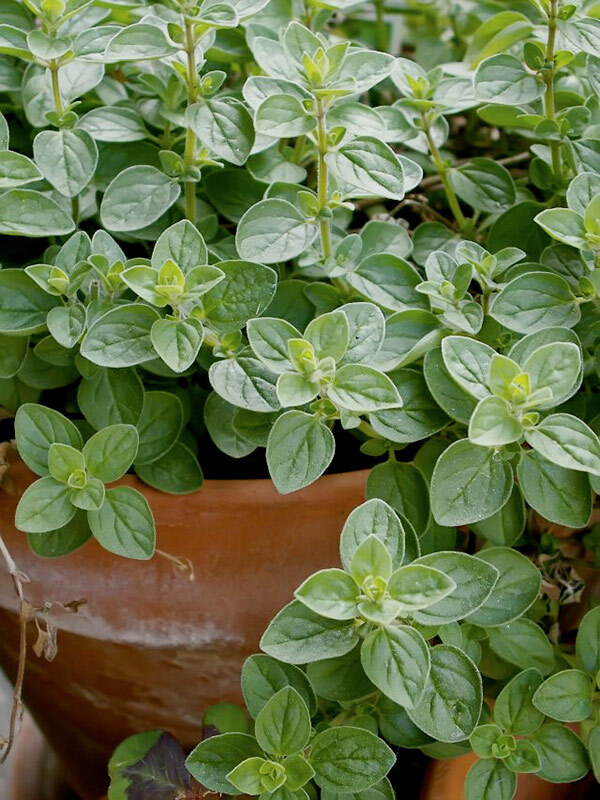 Another delicious and super healthy ( easy) herb to grow is Oregano, and Rosemary. Whether you are using your beautiful organic herbs for medicinal reasons or just to create delicious meals, a great tip is that before you use them, give them a little pinch between your fingers. This action will activate the properties and enhance the aroma of the herb making them, yes, truly heavenly. Please note that even though I do not claim that any herbs can “cure” an issue, I do see all foods as medicine. Therefore it is to be treated with respect. That said, always keep in mind that if you are taking pharmaceutical medications you may need to check with your doctor before indulging in too much of any natural herbs. As with anything the key is “everything in moderation”. And possibly” less is more”. A pinch goes a long way.